Adobe’s workforce has changed by as much as 30 per cent in the past 5-6 years as it builds the agility, capability and diverse thinking it needs for rapid innovation and growth. 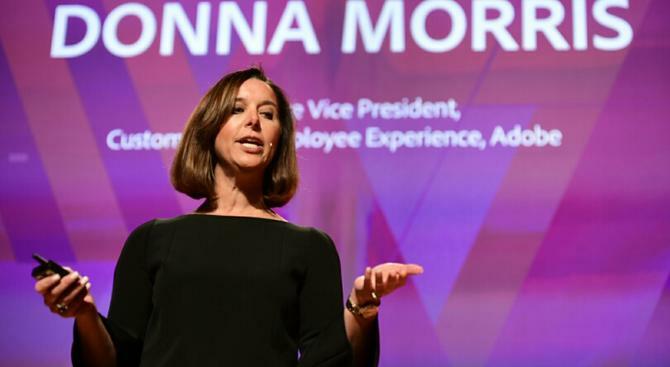 Speaking to CMO in an exclusive interview while visiting Adobe Symposium in Sydney, the vendor’s executive vice-president of customer and employee experience, Donna Morris, said modern businesses need to set the tone culturally for continual disruption. This requires a corporate strategy that embraces change, risk-taking, iteration and diversity of thought. And that means not only retraining and developing existing capability, but being ready to swap out and recruit staff, too. “At Adobe… we accept doing the same thing continually is not going to deliver the desired outcome,” she said. “We’ve set the tone that we are going to have to continue to grow, and the enabler of that growth is continued disruption. At Adobe, that’s seen Morris and her team focus closely on org development, design, capability building – but also capability buying and attracting new talent. Morris has a unique role overseeing both the HR side of Adobe’s business as well as its customer experience and support efforts. The joint role was created 18 months ago and oversees more than 1300 staff globally. Morris has been with Adobe for 15 years, joining following the vendor’s acquisition of Canadian software player, Accelio, in 2002. She became SVP of human resources in 2007 before taking on real estate and operations in 2013, a decision recognising the importance of place in how people work. Prior to establishing the customer and employee experience division, Adobe’s customer service teams were fragmented across individual and enterprise business units. “We didn’t take a holistic view of our customers or recognise the fact customers sometimes both straddle the individual and enterprise products. So step one was marrying them together,” Morris said. From the outset, Morris has focused on ensuring Adobe employees collectively align to customer experience, one of the company’s core priorities. Adobe’s ambition is to be as great to work with as it is to work for, Morris said. “We’ve had a great track record being recognised for a great employer. We need to take that same energy and pivot, and say if you are a customer of ours, are we really a great company to work with? That takes all of Adobe to change,” she said. One important task over the past 18 months has been consistent focus on increasing the vocabulary around ‘customer’ within the enterprise. “We call them ‘experienceathons’, where employees actually get a hand at what the experience is, and we have listening stations where employees can listen to customer issues we have,” Morris said. In addition, it’s vital every executive and team member has responsibility for the customer, and to do that, Adobe has changed its employee rewards system. Today, all staff are subject to an annual incentive plan for which customer is 50 per cent of total payment. “That’s a key lever – we needed to have everyone feel they had skin in the game,” Morris said. “I think there are structural elements in terms of who really believes they have accountability specific to the customer. Strategy always drives structure, and structure drives systems, people and processes. Customer experience metrics are a vital part of this equation. Adobe uses customer acquisition as well as retention, plus Net Promoter Score. The experience when customers interact with support teams is also measured through an internally developed barometer. Meanwhile, from a staff perspective, Adobe is actively working to build a diverse and inclusive environment that encourages a different ways of thinking. One way Adobe strives for disruptive thinking is through its ‘Breaking Bias’ initiative, aimed at helping staff recognise their inherent biases in order to remove them. “Our goal is to increase the awareness that we each come with a bias, and our best work is done when we realise that exists and we include more people,” Morris said. Fostering ideation and innovation is also a focus, and Adobe’s Kickbox program gives people an opportunity to take risks by providing a framework around ideation and innovation. The initiative revolves around a red box, which includes US$1000 and a number of tools to help launch a new idea. Morris also believes fostering adaptive thinking is about cultivating an environment that encourages collaborative exchange. To do this, Adobe introduced ‘check in’, an ongoing process around feedback, expectations, and setting growth and development expectations. “If you role model it by saying some of the programs and processes are commonplace and you’re willing to change and get rid of them, it sets the tone that it can be done in one group. And from there, it can be done in another,” she continues. All too often, innovation is considered the preserve of product development, Morris comments. 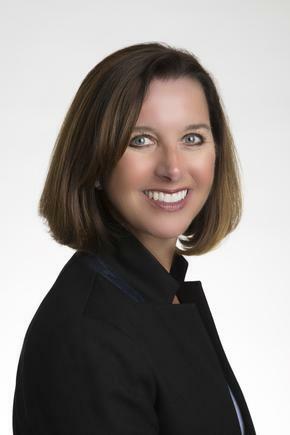 Even before Adobe put both people and customer experience under her watchful gaze, Morris found a close ally in Adobe CMO, Ann Lewnes. That relationship has only continued to grow. “That’s because of one reason: A brand’s biggest advantage and enabler are the people that work for you, and your customers,” she said. “When I think of dynamic tension, it’s more around whether are we really driving the investments that make us effective in terms of communicating with our customers or employees. Who holds the support function honest? A big piece of that is marketing, because marketing is doing the customer insights. Morris also participates in a quarterly review with key business unit leaders, such as Adobe Digital Marketing leader, Brad Rencher, Lewnes and executive VP of worldwide field operations, Matt Thompson, to talk about measurements and the actions needed to continue moving the needle on experience improvement. “So much of how we operate is matrix in nature,” she said. “For instance, one of the impediments we have is we’ve grown rapidly, through both building and buying. When we acquire a new technology – such as TubeMogul – our customers are happy, but if it doesn’t actually work effectively and integrate in a more seamless manner, we end up having problems. Through all of this, Morris advocates diversity as an important ingredient of people and customer culture. “We need to make sure as a company we’re viewed as #adobeforall. And if we’re going to be successful, we have diverse customers and we need to reflect that,” she said. Over the next six months, Morris’ next milestone is for customers of Adobe’s Creative Cloud to be exposed to a different experience specific to the in-service experience they have with the company.